Charles A. 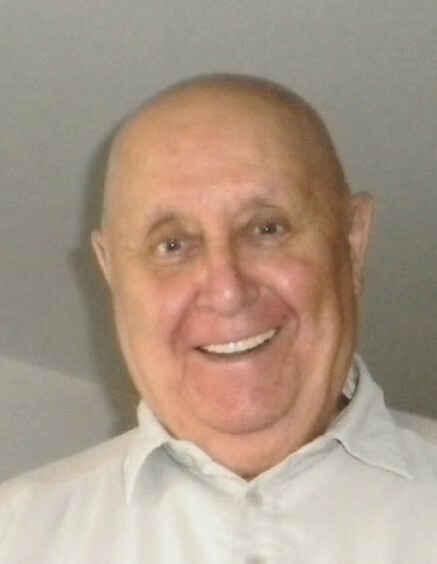 "Art" Ford, 90, of Valmeyer, IL, died April 8, 2019, in Columbia, IL. He was born January 15, 1929, in E. St. Louis, IL. He is survived by his wife Patricia Ford; children Candie (Rob) Warren, Angie (Bill) Prange, Chuck (Laura) Ford, and Henry "Butch" (Leigh) Ford; grandchildren Chris Andres, Nicole (Andy) Sambor, Josh (Becky) Warren, Ryan Warren, Emily Warren, Brandy (Randy) Hicks; Nick (Lynn) Prange, Brittany Prange, Allison Ford, Andrew Ford, Collin Ford, and Kylie Ford; great grandchildren Michael, Anthony, and Vincent Sambor, River Kurschinske and Nora Warren, Sydney, Mason, and Olivia Hicks, and Harrison Prange; brother John (Mary Ellen) Ford; sisters-in-law; brothers-in-law; nieces; nephews; & cousins. Charles is preceded in death by parents Henry W. and Beulah (nee Balltrip) Ford; daughters Vicki Andres and Pamela Ford and sister Dona Tucker. He was a member of St. John UCC - Valmeyer, Valmeyer Senior Citizens, Maeystown Sportsmans Club, Valmeyer Lions Club, and retired Teamsters Local #682.